Agriculture Scientists Recruitment Board has now issued ARS NET (I) Exam Notification for 195 various Vacancies. Applicants who are waiting for ARS NET Examination can fill online application form for ASRB Recruitment 2018. Submission of ARS NET Online form has been started from 06.02.2018. You can submit ASRB Vacancy Online form till the last date, that is 02.03.2018. More information about ARS & NET (I) Exam you can check from below article. ASRB is inviting ARS NET Online form for filling up 195 Vacancies. Applicants who have hold Master’s Degree in respective filed can fill online form for ASRB Jobs 2018. Before filling application form candidates must check required Eligibility Criteria & Other details fro ASRB NET Examination 2018. If you are waiting for ARS NET Exam 2018 Notification then this is great opportunity for you. Further information about ASRB Vacancies is described in below sections. Fresh Update as on 17.02.2018 : Applicants ASRB has now issued ARS & NET Exam Syllabus. 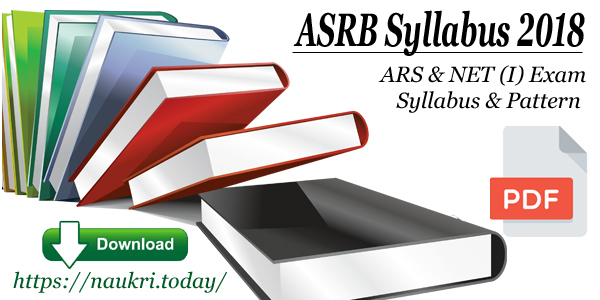 If you are preparing for Exam then Check ASRB Syllabus from here. What is the Required Application Fees & Selection Criteria For ARS & NET (I) Examination ? How To Fill Online Form For ASRB Recruitment 2018 – ARS NET Exam Online form ? What is the Eligibility Criteria For ASRB Recruitment 2017 for LDC & Steno Competitive Examination ? How I Fill Online Form For Delhi ASRB Recruitment 2017 – 18 ? What Are the Details for ASRB Recruitment 2017 ? In the below section we are providing Category & Discipline wise ASRB NET vacancies. candidates can also check ARS NET Vacant Jobs Division from official notification. If you are going to fill online form for ASRB ARS Exam 2018 then read the below section. In this section we are providing Post wise required education & Age Criteria. Applicants can check more information related to eligibility Criteria Fr ARS NET (I) Examination from official notification. Candidates must have hold Master’s Degree in respective field for fil;ling ARS NET (I) Online application form. More information related to education criteria you can check from official advertisement. Minimum & upper age criteria for ASRB ARS 2017 Exam & NET (I) Exam 2018 is mention below. Relaxation in age for ASRB Jobs is applicable only for reserved category candidates as per department rules & regulation. ARS 2017 Exam : Minimum age must be 21 years & Upper age should be 32 years. NET (I) Exam : Minimum age must be 21 years & There is no upper age limit for ASRB NET Exam 2018. Selection of the candidates for ASRB Recruitment 2018 will based on Written Exam & Viva Voce. Final Selection list will prepared on the basis of Marks obtain in exam. For more details about ARS & NET Exam Pattern you can check from ASRB Jobs Notification. Those candidates who are eligible for ARS & NET (I) Exam can fill online form here till the last date that is 02.03.2018. Read the below steps which is helpful for filling online form for ASRB Vacancies. First of all candidates log on to the official website www.asrb.org.in. Now click on official ARS & NET Exam Notification link. Read all the information from ASRB Notification 2018. If you are eligible then click on Registration Link. Fill registration form & Apply Online application. Recheck all details filled in application form. Deposit application fees & click on submit button. Conclusion : – ASRB Recruitment 2018 For 195 Vacancies. Candidates who are interested can fill online form for ASRB NET Online form till the last date 02.03.2018. Check more information from notification or by reading above article. Dear Applicants, Agriculture Scientist Recruitment Board has released notification of Stenographer Grade III & LDC Competitive Examination 2017. There are total 173 LDC & Steno Vacancies. Interested Applicants can fill application form for ASRB Recruitment 2017 through online mode from here. You can check more information about Required Qualification here for ASRB LDC Recruitment & Fill online form before the last date, that is 25.09.2017 (extended till 15.11.2017). Fresh Update (13.10.2017) : Dear Applicants, ASRB department has reopen the submission of Online form for LDC/ Steno 2017 Vacancy. Link for submit online form will started from 16.10.2017 & Closed on 15.11.2017. Interested candidates can fill online form here & For more details check the below article. ASRB is also known as Agriculture Scientist Recruitment Board. Recently department has released a recruitment notification for 173 Lower Division Clerk & Steno Jobs. Selection of the candidates will through Competitive Examination. Online submission of Delhi ASRB Jobs Online form will started from 31.08.2017 (re-open from 16.10.2017). Rest of the information about ASRB Stenographer Recruitment 2017 like Qualification, Pay scale, application fee etc. you can get from below article. Appliers you can check full information about Stenographer Grade III & LDC Competitive Examination 2017 from here. BY reading below article you can get Qualification, Age Limit, Application Fee, & Selection Criteria For ASRB LDC Vacancy 2017. Lower Division Clerk (LDC) : Applicants must have passed 12th Class or equivalent qualification from any recognized Board for ASRB Recruitment 2017. Candidates must have typing speed of 35 wpm in Hindi & 30 wpm in English (10500 Key Depression per hour). Stenographer Grade III : 12th Class pass Candidates with having typing speed in English & Hindi as per Diction Test. More information you can get from official ASRB Notification. Age of the candidates for ASRB Jobs 2017 must be in between 18 years to 27 years as on last date of registration. Relaxation in age is applicable as per Department Rules & regulation for LDC Steno Competitive Exam 2017. General/ OBC Category applicants need to pay Rs. 200/- as application fee for ASRB Recruitment Online form. Other Category applicants of SC/ST/ESM/Women, no need to pay application fee for filling online application for LDC & Steno Jobs 2017. LDC Jobs : Applicants will paid Rs. 5,200/- to 20,200/- with GP Rs. 1,900/- per month. Steno Grade III Post : Rs. 5,200/ –to 20,200/- with Grade Pay Rs. 2,400/- per month for ASRB Stenographer Vacancy 2017. Candidates will selected on the basis of Written Exam & Typing/ Steno Test for ASRB Vacancy 2017. Full information about Selection Criteria you can get from official Agriculture Scientist Recruitment Board Notification, which is mention below. All the Applicants who are eligible for LDC & Stenographer Competitive Exam 2017 can fill online form here before the last date. We are providing step by step process of Applying online form for ASRB LDC Vacancy 2017. Read the below step which is helpful for applying application form. First of all, candidates visit to the official website www.asrb.org.in. Now Click on Official Notification link. Then read all the instruction from notification properly. After that click on Apply Online form link. Upload your scanned photo & signature in form carefully. Recheck all details before submit ASRB Delhi Jobs Online form. Now Deposit application fee if required & click on submit button. Note Down ID & Password for future use. Conclusion :- Delhi ASRB Recruitment 2017 for 173 LDC & Stenographer Vacancy. Candidates can fill online form for ASRB Stenographer Recruitment on or before the last date 25.09.2017 (extended till 15.11.2017). Agricultural Scientist Recruitment Board has issued a ASRB Recruitment 2017 notification for 180 Agronomy & Various Vacancy. This will be a good opportunity for the candidates who are in the hunt for govt. jobs. Master Degree holders who are willing to apply for these examinations are requested to submit their application through online. Interested and eligible candidates can apply for these posts on online before the Last Date i.e., 15-04-2017. ASRB is a recruitment board which conducts all the competitive exams for hiring suitable professionals for serving at Indian Council of Agricultural Research (ICAR). This year, ASRB has decided to organize ARS and NET exam at various centers in India. This is the very good news for job seekers Latest Jobs ASRB upcoming jobs 2017-18 very soon. ASRB Scientist Jobs 2017 Applicant if you want to more details about the recruitment like Salary, age limit, application fee, Imp dates. Education Qualification ASRB Scientist Jobs : Government of India government Job aspirant should complete his Master’s degree or its equivalent qualification from a recognized institution or university. Age Limit : Applicant age should be 18 to 32 as per the government category wise check ASRB as per the Govt. Rules and regulation. Age relaxation applies to the reserved categories as per the rules of the organization. Application Fee : Candidates of ARS- 2016 and for NET (I)-2017 Posts should have to pay an Application fee of Rs.500/-. Unreserved Category Candidates should pay an Application fee of Rs.1000/- . SC/ ST Category candidates need to pay the Application fee of Rs.250/-. The fee can be paid by online gateways such as Debit or Credit card or Net banking. You can also pay the fee offline by using online generated e-challan at any branch of Syndicate bank. Salary Structure : The candidates who are applying for ASRB Scientist Recruitment 2 017 so,they are Selected aspirants will be receiving best stipend from the Agricultural Scientists Recruitment Board that is refer to the official notification that is Rs. 15,600/- to Rs. 39,100/- plus Research Grade Pay of Rs. 6,000/-. Selection Procedure : The selection procedure for the ASRB Scientist recruitment will consist Written Examination and interview .All the selection procedure through done by the ASRB Scientist Recruitment Board. Candidates will be selected based on their performance in Will be based on Preliminary and Mains Examination and viva-voce. Then go through the Notification panel and click on the Apply Online link. Fill the form with all the necessary details of the candidate as per the norms. Download and take a print out of the form for Exam use. 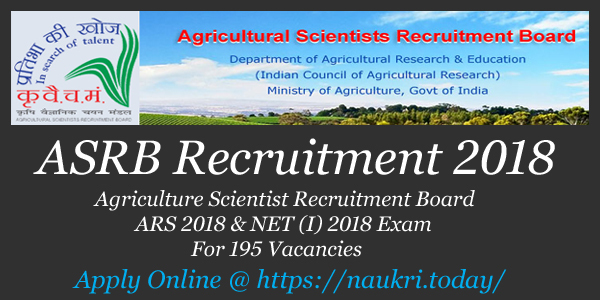 Conclusion : ASRB (Agriculture Scientist Recruitment Board) Has Released Recruitment Notification For 180 Combined ARS-2016 and NET(I)-2017 Examination Posts. All Eligible And Interested Candidates Can Apply Online On Or Before 15-04-2017 (15th April 2017). 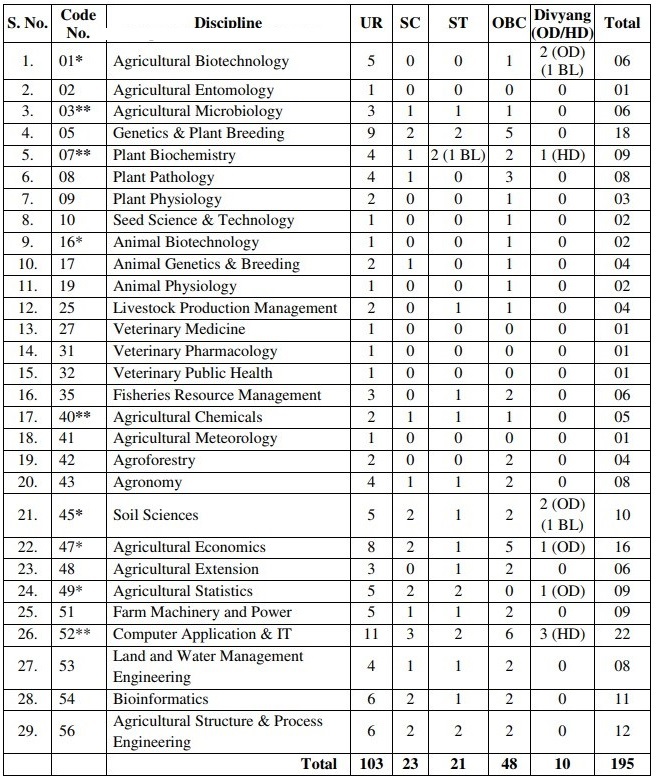 Agriculture Scientist Recruitment Board has published notification for 52 post. Applicant who are interested to apply for ASRB Recruitment 2017 should check the eligibility details from asrb.org.in. Candidate have to fill the ICAR Scientist Application Form in prescribed format. As per the notification last date to fill the application is 28.02.2017. Applicant should check the remaining information below. ASRB is inviting eligible candidate for the recruitment of 52 vacancy. This is the great chance for those candidate who are waiting for ICAR ASRB Scientist Jobs 2017. The application form for ASRB Recruitment 2017 will be filled in Offline mode. 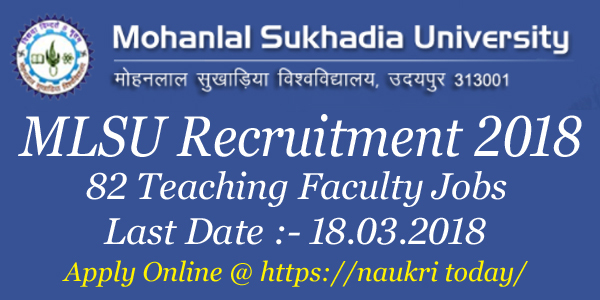 For more information about Agriculture Scientist Recruitment Board Vacancy like Selection Procedure, monthly pay band etc. candidate should check the further details. Education Qualification for ASRB Jobs 2017 : Applicant should have Doctoral degree in corned stream or its equivalent qualification for ASRB Scientist Recruitment 2017. To know more information candidate should check the ICAR Senior Scientist Vacancy 2017 details. Age Limit for ICAR Scientist Vacancy : Candidate who are willing to apply for ASRB Jobs 2017 should have maximum age 47 years as on 28.02.2017. Age relaxation should be applicable as 05 years for SC/ ST category and 03 years for OBC category for ASRB ICAR Scientist Vacancy 2017. Pay Scale for ASRB Recruitment 2017 : After the selection in ICAR ASRB Vacancy 2017 candidate will be paid Rs. 37400/- to Rs. 67000/- with grade pay of Rs. 9000/-. ASRB 2017 Exam Fee : Applicant who belongs to General & OBC category should pay Rs. 100/- for ICAR ASRB 52 Senior Scientist Jobs 2017. Fee will be submitted through demand draft in favor of Secretary ASRB payable at New Delhi (India). There is no fee for those candidate who belongs to SC/ ST/ Women/ Physically Handicapped for ASRB Senior Scientist Recruitment 2017. Selection Procedure for ICAR Jobs 2017 : Those who are going to fill the application form for ASRB 2017 Scientist Recruitment should send the form as prescribed in the notification. On the basis of Application received Scrutiny Test will be conducted. Candidate who will be shortlisted in this round will be called for personal interview for ICAR ASRB ICAR Scientist Vacancy 2017 . How To Fill ICAR ASRB Recruitment 2017 Application Form ? Visit to the official website of Agriculture Scientist Recruitment Board i.e. www.asrb.org.in. Click on ASRB Recruitment 2017 link and proceed to further steps. Open the ICAR Senior Scientist Notification and read all the information carefully. Download the Application form for ASRB Jobs 2017. Fill all the details and affix passport size photo. All the details mentioned by the candidate should be genuine and correct. After filling all the details recheck the complete form. Attach qualified document and certificate with ASRB Senior Scientist Recruitment 2017 Notification. Send the ICAR Recruitment application form to the given address. Conclusion : ASRB Recruitment 2017 for 52 Senior Scientist post. Applicant should send ASRB Senior Scientist Vacancy 2017 Application Form on or before the last date i.e. 28.02.2017.